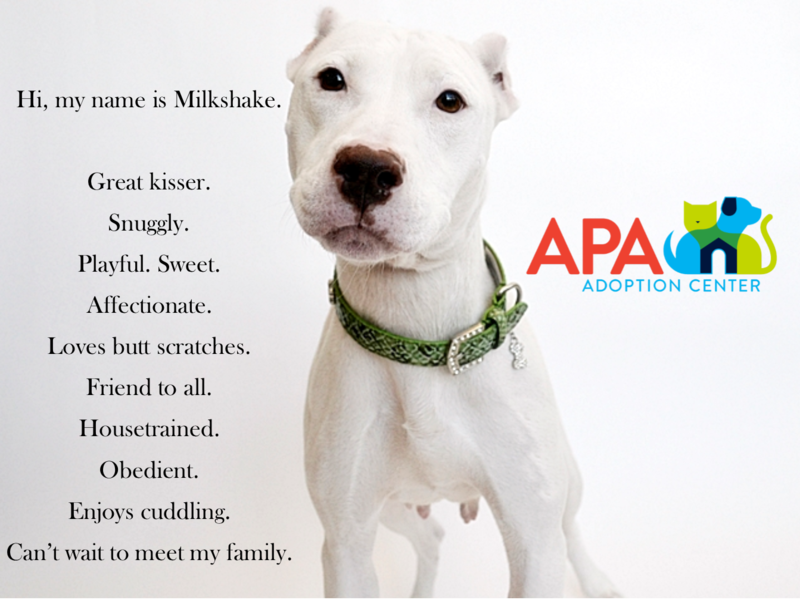 At the APA Adoption Center, we believe that visual breed identification is unreliable and unscientific, at best. Studies have shown it isn’t possible to accurately distinguish which breeds make up a single dog purely based on their appearance, so we believe it is best to emphasize the qualities that we are able to confidently and accurately identify, such as personality, behaviors and energy level. These are the traits that make our dogs the wonderful companions they are, so these are the things that deserve to be the focus. We understand that removing breed labels can be difficult, especially in a world where we are so conditioned to name what we see. But we have decided that it is far more important for our adopters to know about the dog itself rather than guessing at what may – or may not – be its genetic makeup. Unless a dog has come to us with papers to prove its family history, there is no possible way for us to honestly state the breed of a pet. Besides, it isn’t an individual’s family history that makes them who they are – it is who they are as an individual. This holds true for dogs, too. It is important to us to be honest with our adopters and ourselves. The last thing we want to do is predispose an amazing dog to an unfair and negative stereotype which may limit their opportunities for adoption based only on the way they look. At the same time, we do not want to give an adopter who has their heart set on a particular breed the impression that a dog is the breed they are after when we do not know for certain that this is the case. At the APA Adoption Center, we will no longer be identifying dogs as a specific breed or a mix of breeds if we have no valid evidence to suggest it. Instead, we will be focused on the character, behavior, quirks, and all of the other great things that makes them who they are. We believe that, by removing breed labels from the animals in our care, we will be giving each and every dog a better chance at finding their perfect family. Rather than an adopter focusing on their breed, an adopter will focus on who they are as a companion. And isn’t this how each of us wants to be known? The work we do at the APA is not for the faint of heart. It is difficult, heartbreaking, and messy at times. We give our best to every animal who comes through our doors, and when we see the difference it makes, it is easy to see why we do this work.